Description This primary school also has a nursery class. Cairns Primary School shares parts of its catchment area with West Coats Primary School. 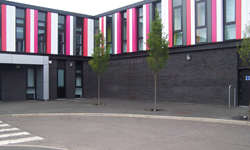 For further information on inspection reports for this school please visit the Education Scotland website.